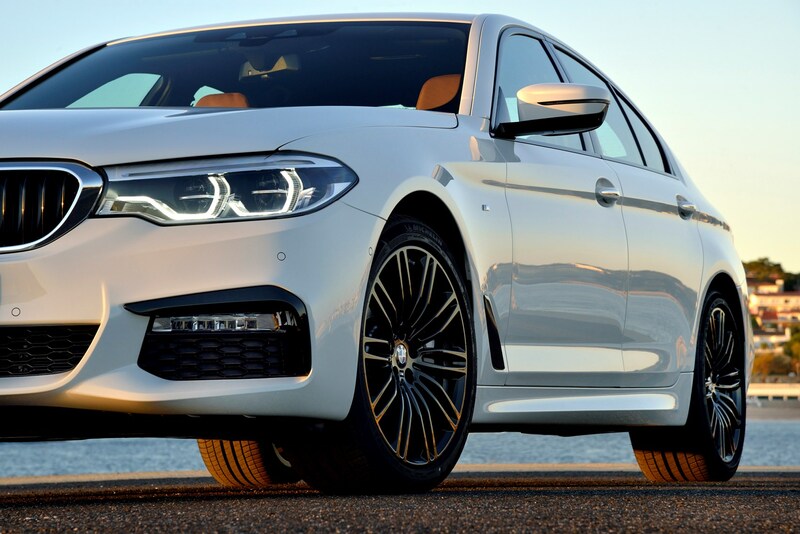 Insurance group: 28 - 50 How much is it to insure? 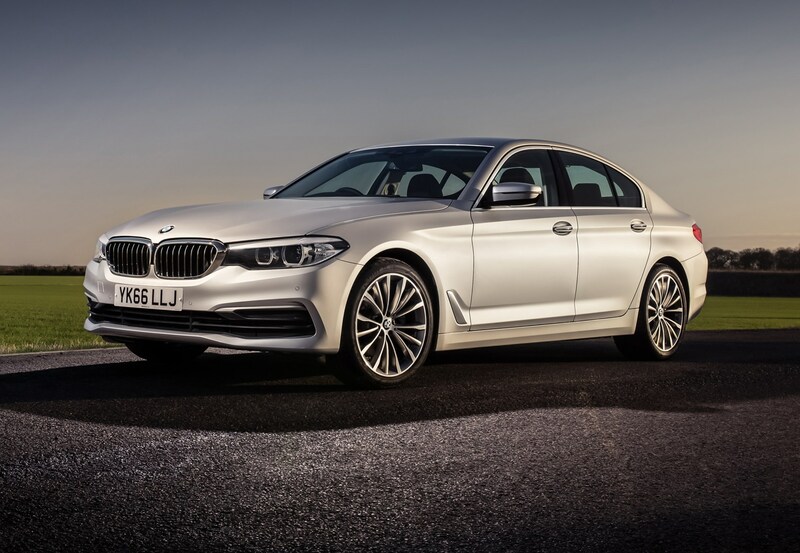 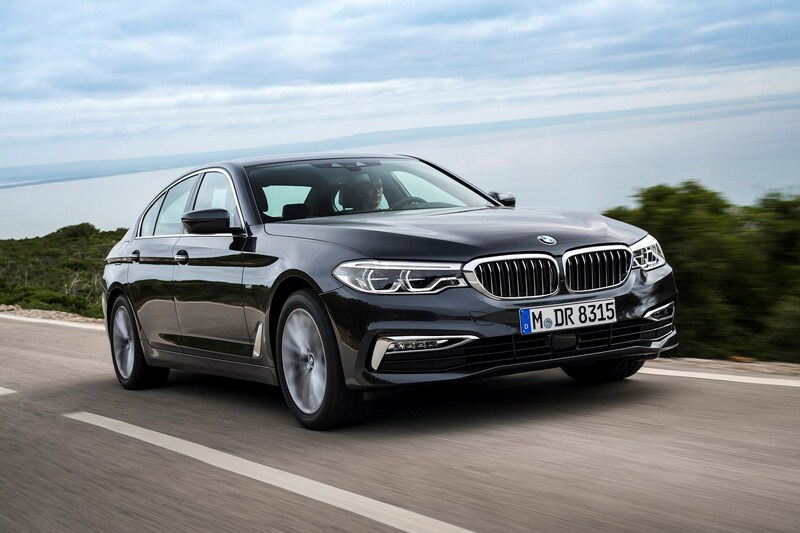 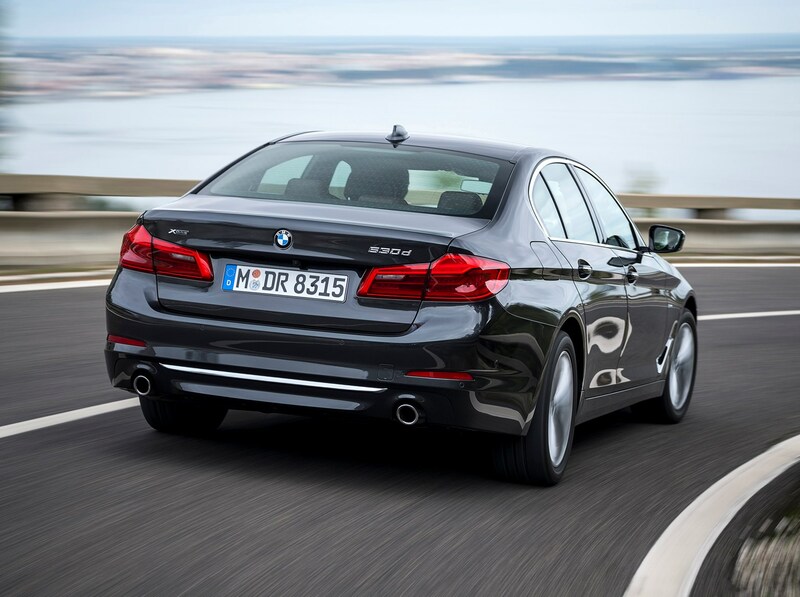 The BMW 5 Series is a premium executive saloon that is now in its seventh generation. 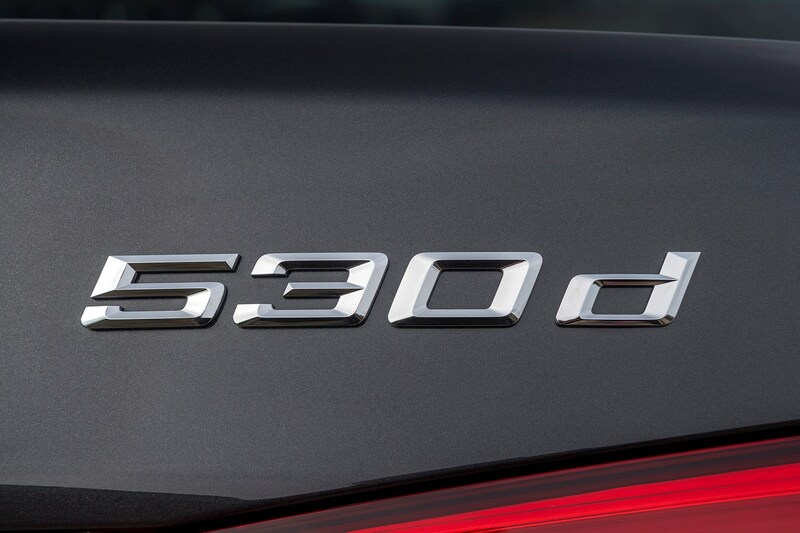 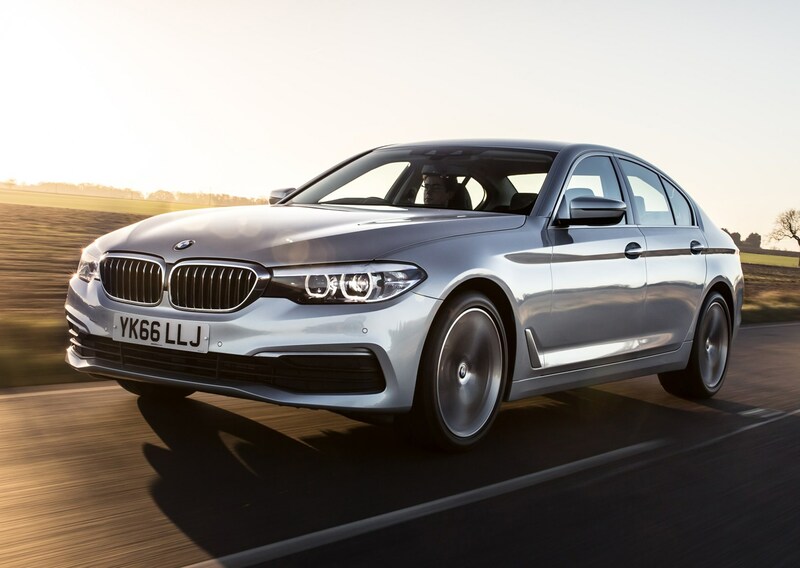 Lighter, more powerful and more efficient than its predecessor, which was consistently the best-selling car in its class, the latest 5 remains focused on BMW’s traditional values of driving pleasure and performance, but with added technology for multimedia and driver-assistance systems. It's also available as a Touring estate version for those who need extra boot space. 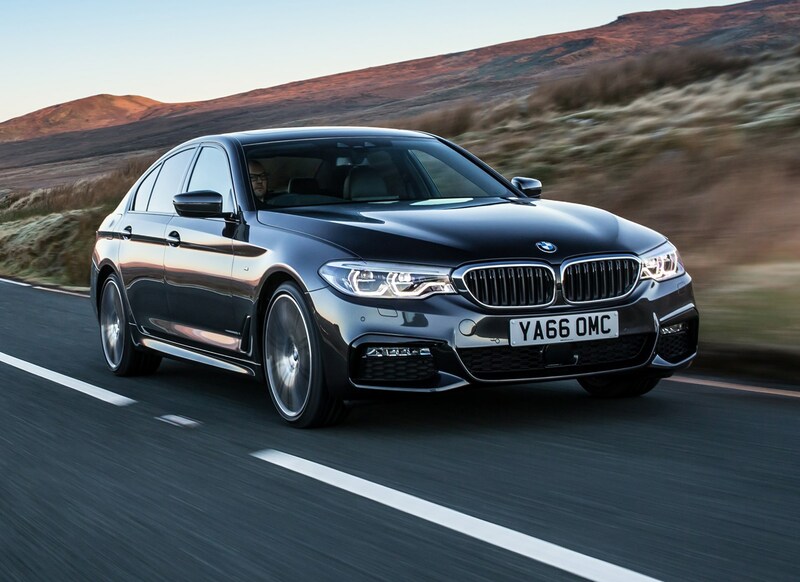 As normal, there's also a high-performance M5 on offer too. 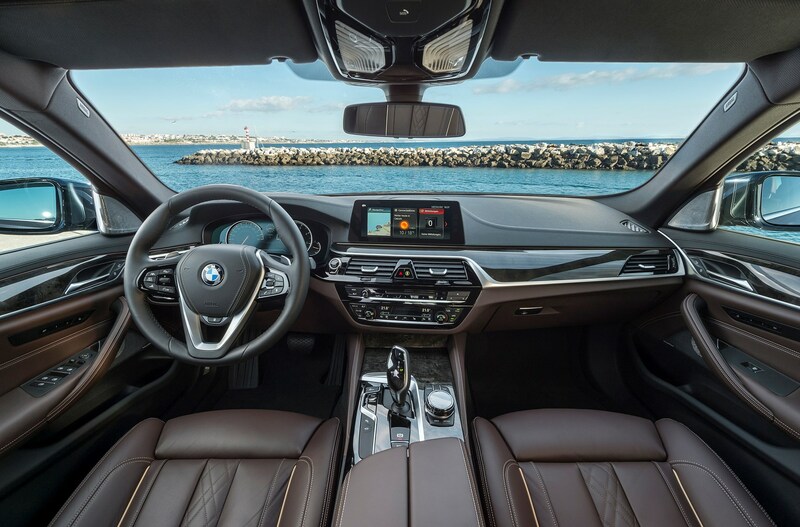 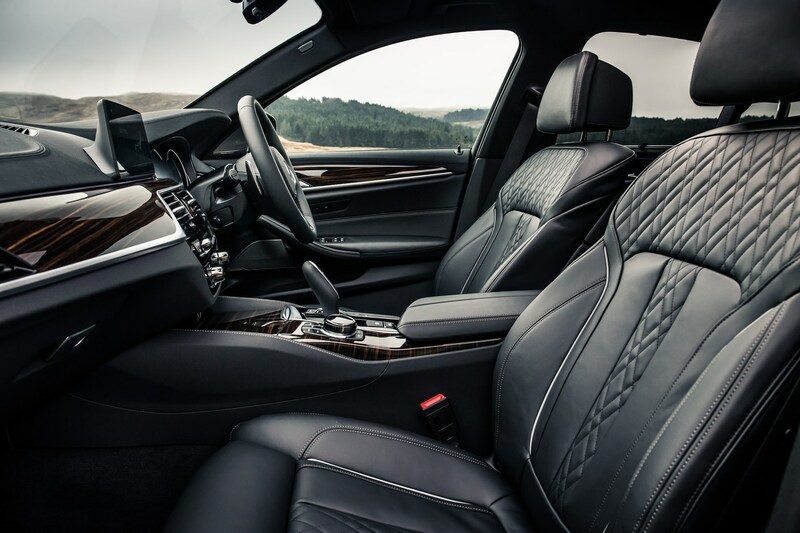 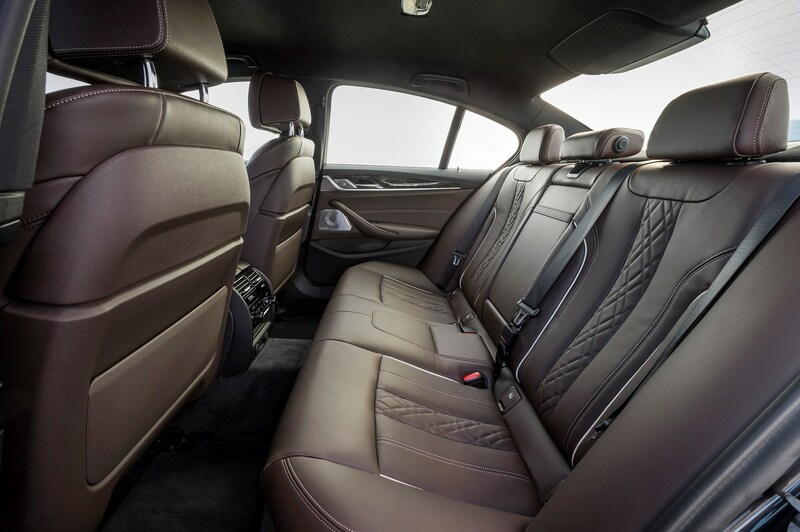 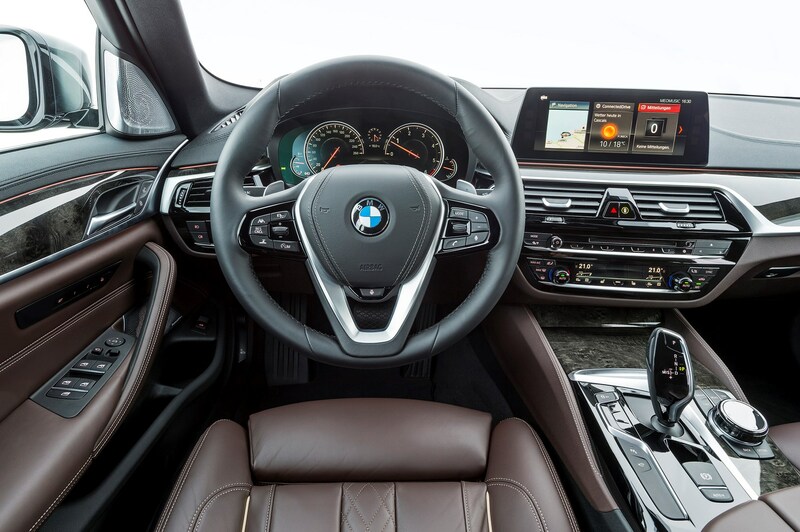 This car adds even greater levels of luxury to the mix, with an intricate, high-quality interior design, (generally) plush ride comfort and a large number of cutting-edge technologies, many of which have filtered down from the flagship BMW 7 Series. 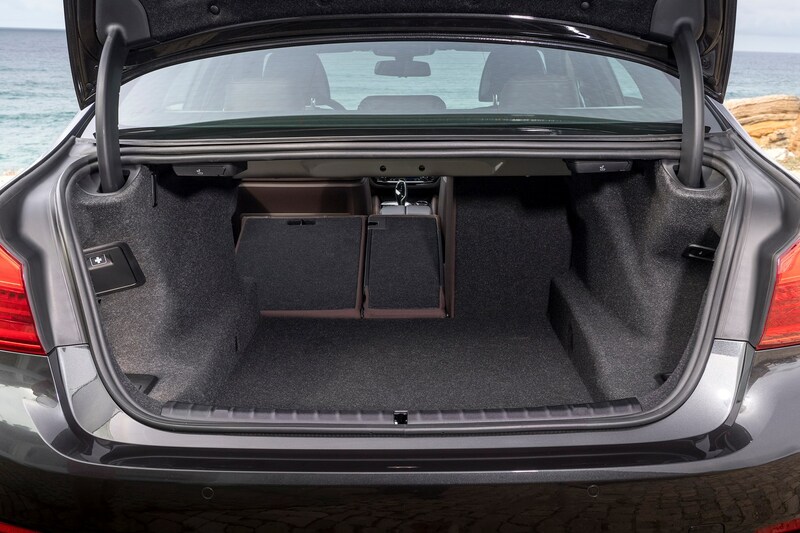 Entry-level SE specification has more standard equipment than any rival, meaning it also adds great value to the challenge it presents to the Audi A6, Mercedes-Benz E-Class, Jaguar XF, Volvo S90 and Lexus GS. 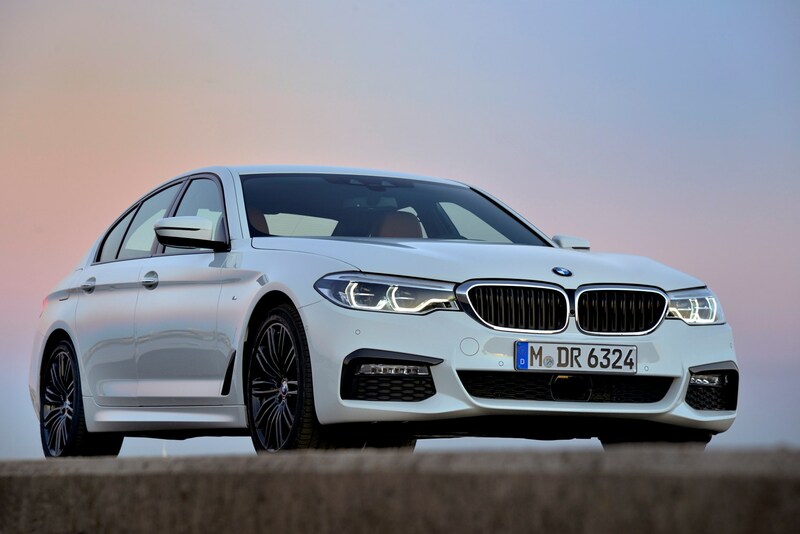 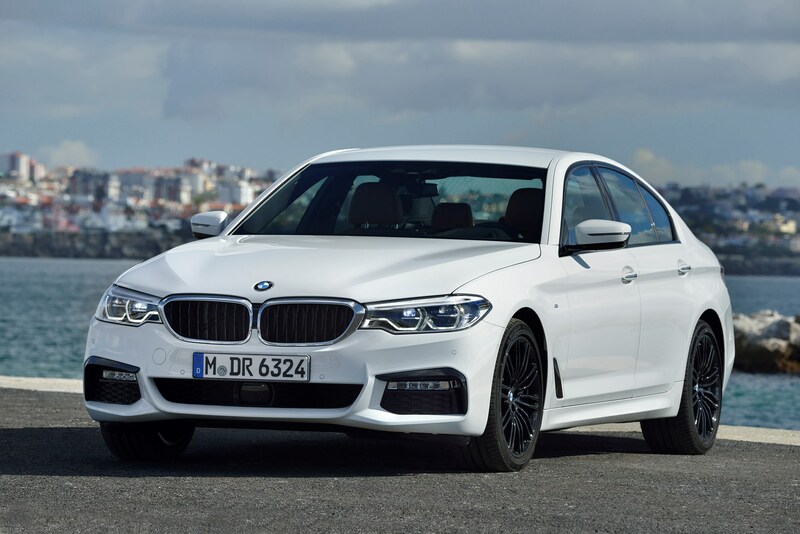 The 5 Series comes with a choice of eight engine variants – familiar 520d, 525d and 530d turbodiesels plus 520i, 530i and 540i turbo petrols, plus a plug-in hybrid 530e iPerformance and the M5 super-saloon (below), which itself has a hotter version called the M5 Competition. 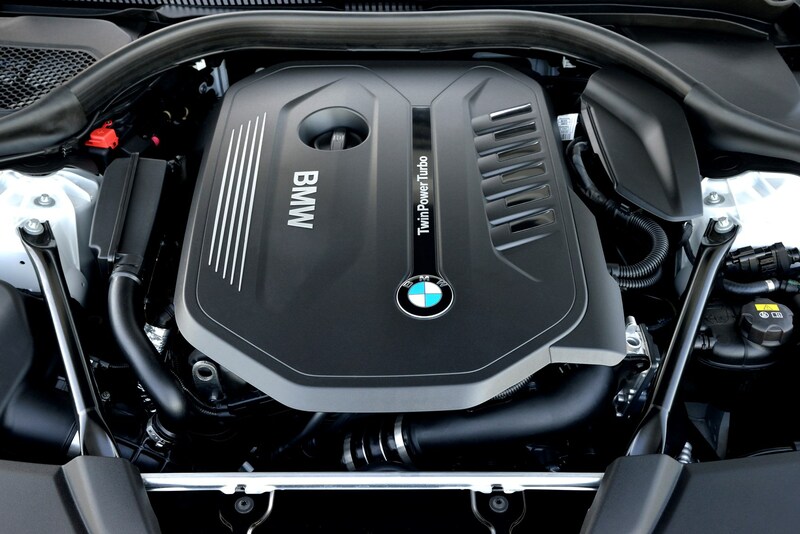 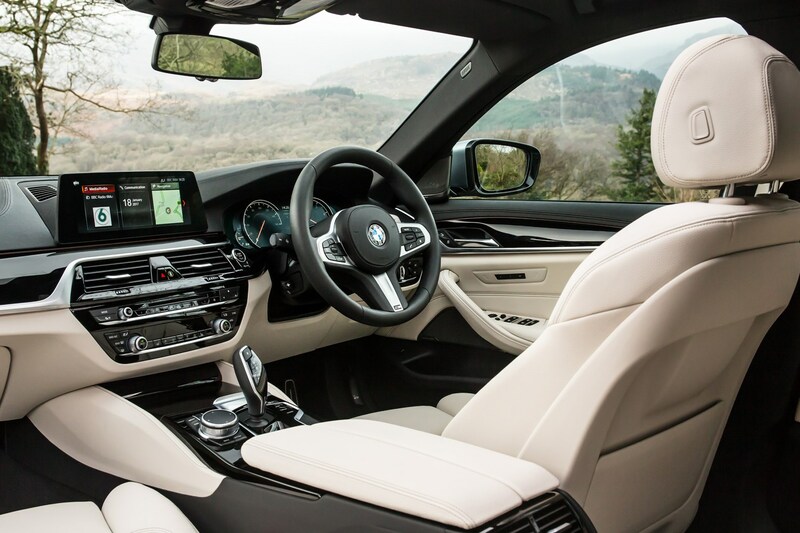 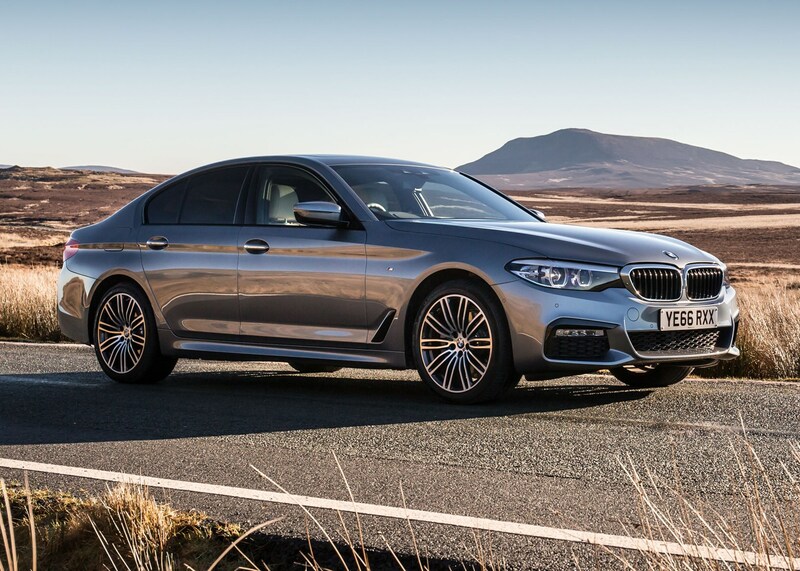 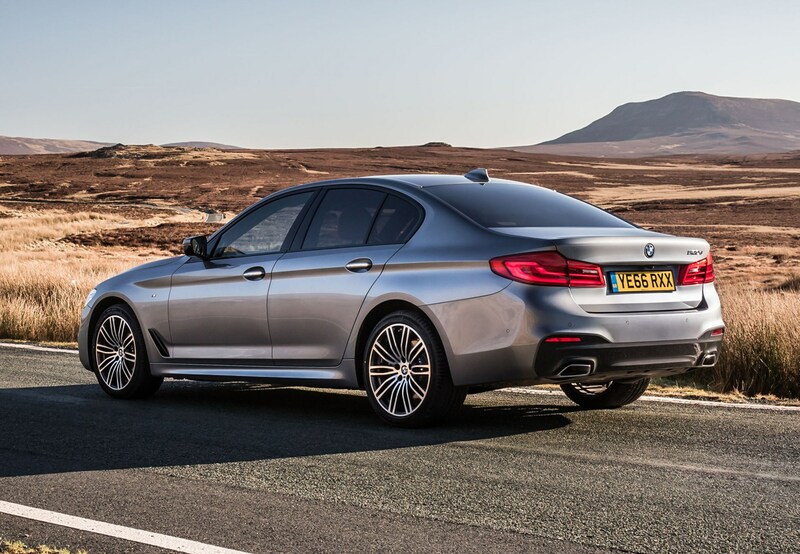 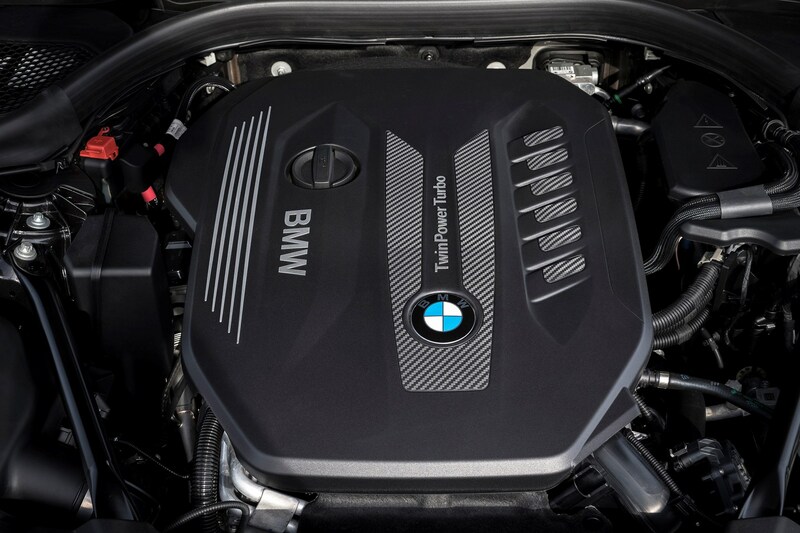 All 5 Series come with an eight-speed automatic gearbox; this is largely an excellent transmission, with the option of xDrive all-wheel drive on 520d and 530d diesels, while the 540i comes with xDrive as standard. 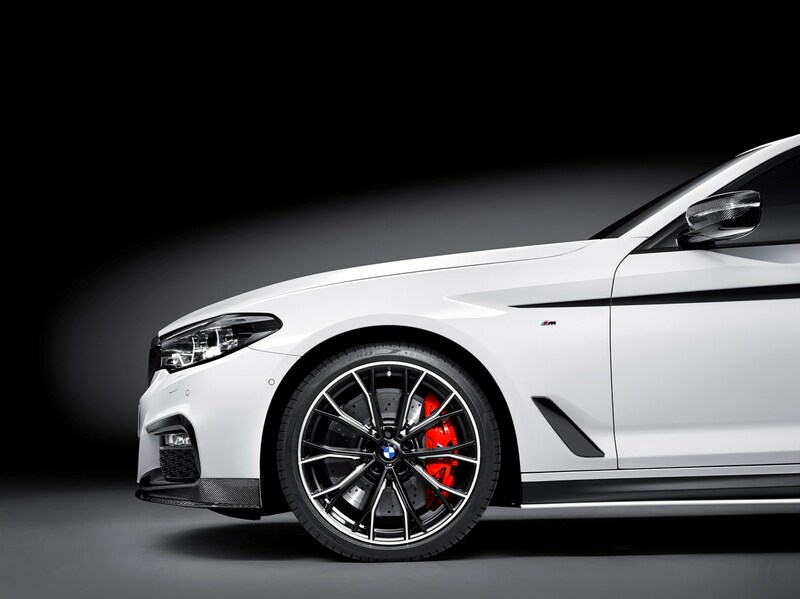 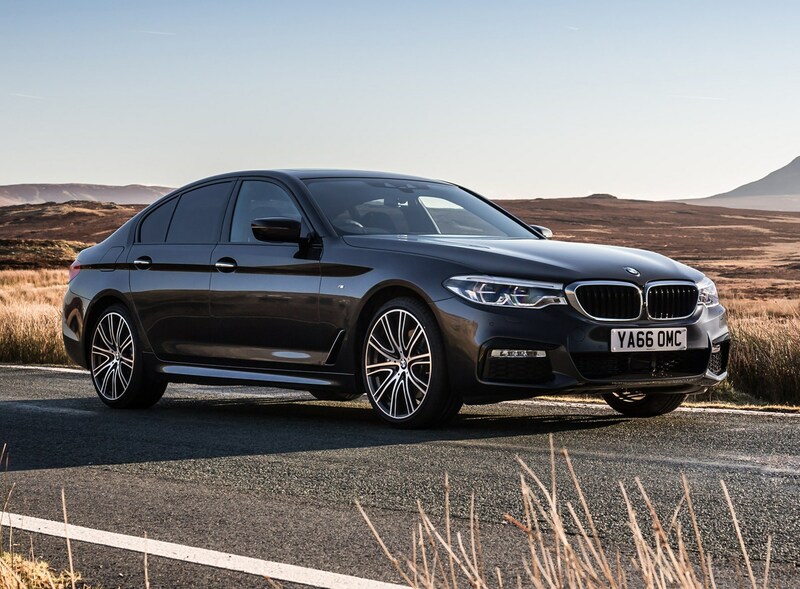 Performance is strong across the range, and combined with handling that feels immediately more agile than the preceding 5 Series, this is a big, comfortable, highly-specced car that can cover even tricky roads exceptionally quickly. 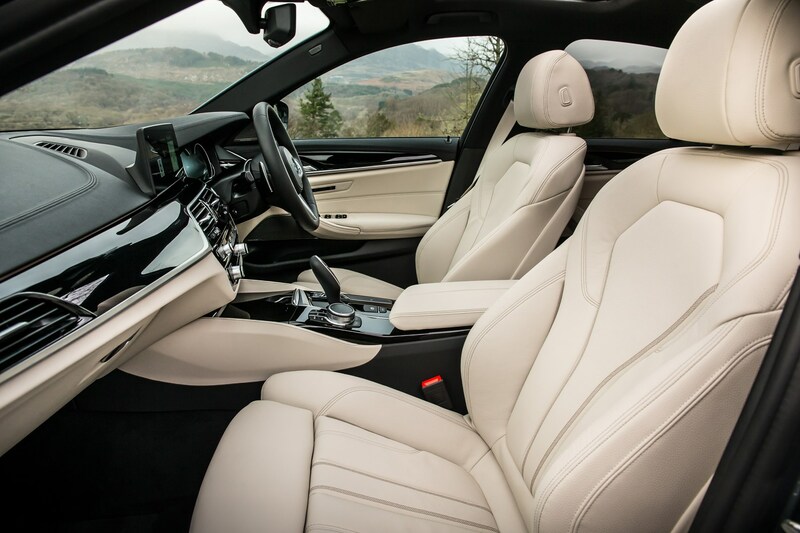 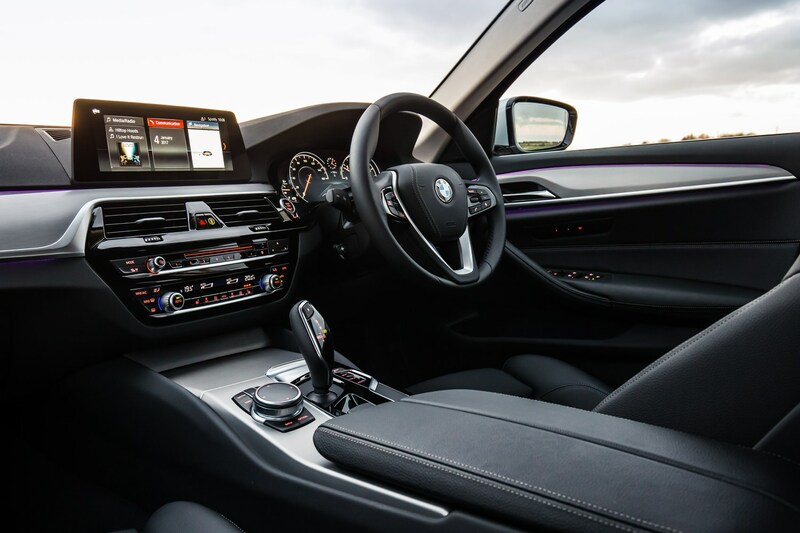 While the interior may not have quite the wow factor of the Mercedes E-Class, the 5 Series has plenty of passenger space front and rear, and feels noticeably more composed from behind the steering wheel – and that applies to both driving fast and cruising gently. 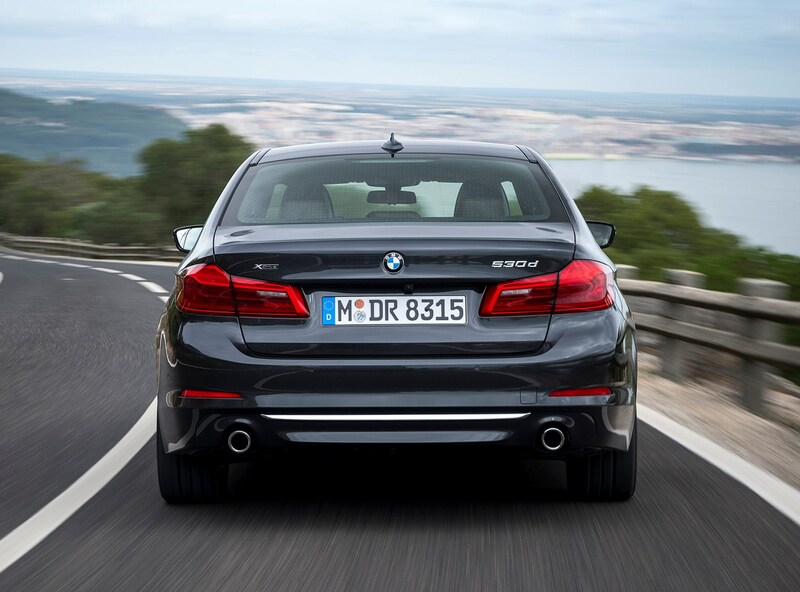 UK buyers have the choice of SE or M Sport trim levels, while the M5 sits as its own model at the top of the tree. 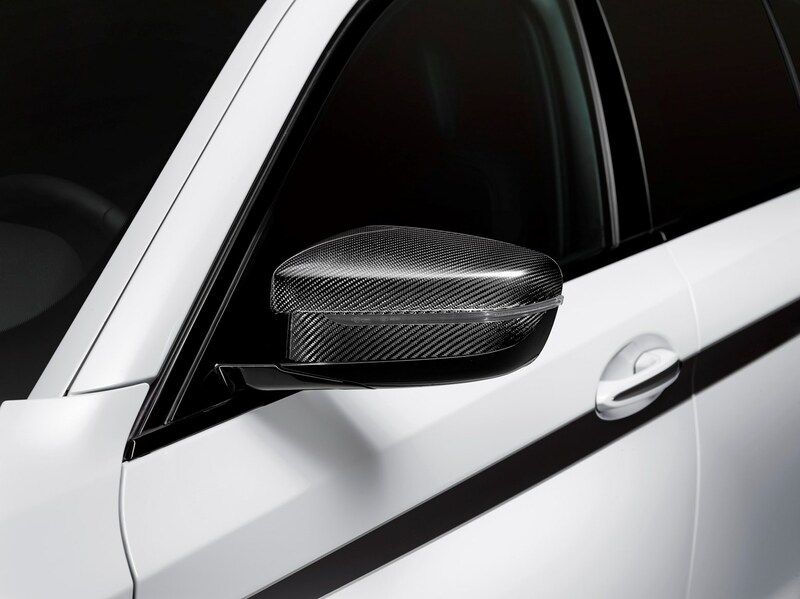 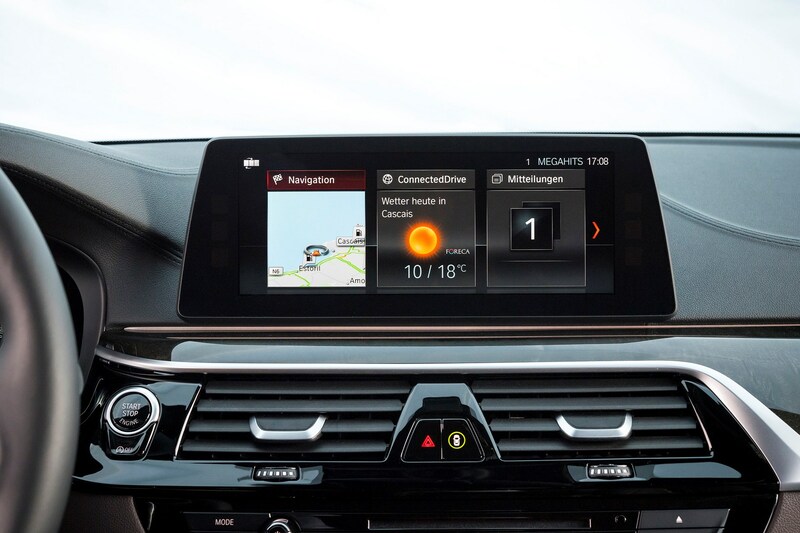 Satellite-navigation is fitted as standard on all 5 Series – as it is on every BMW. 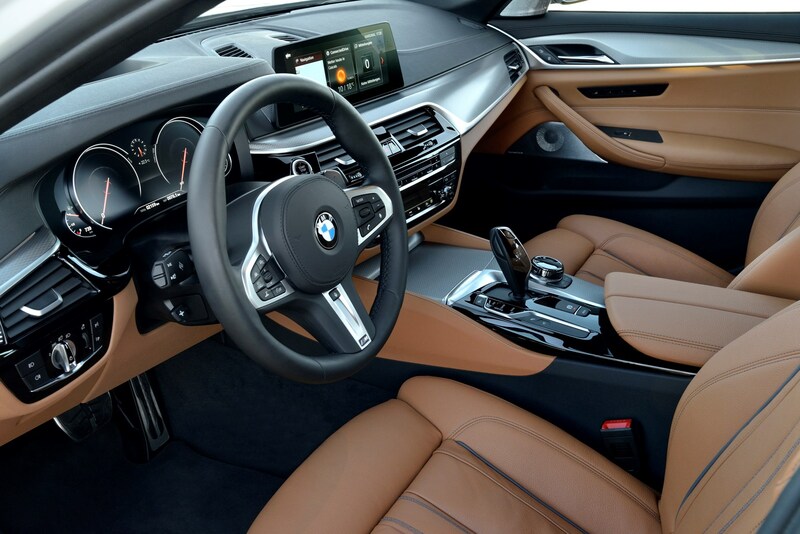 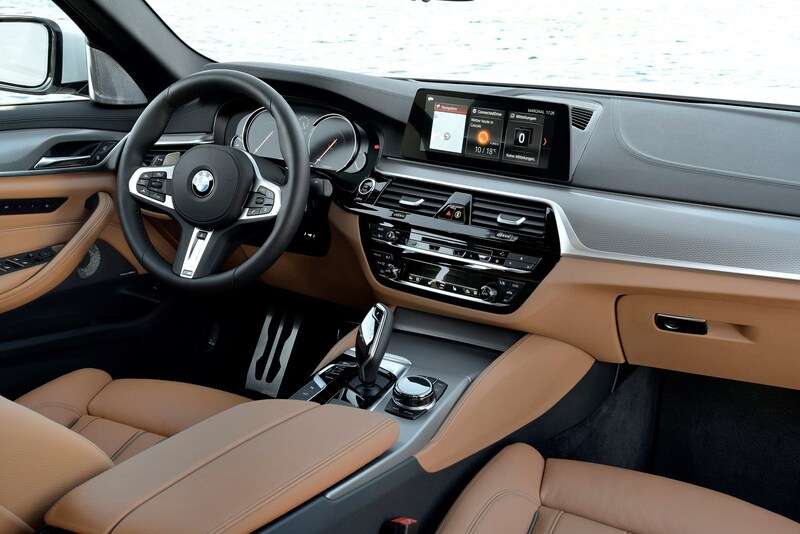 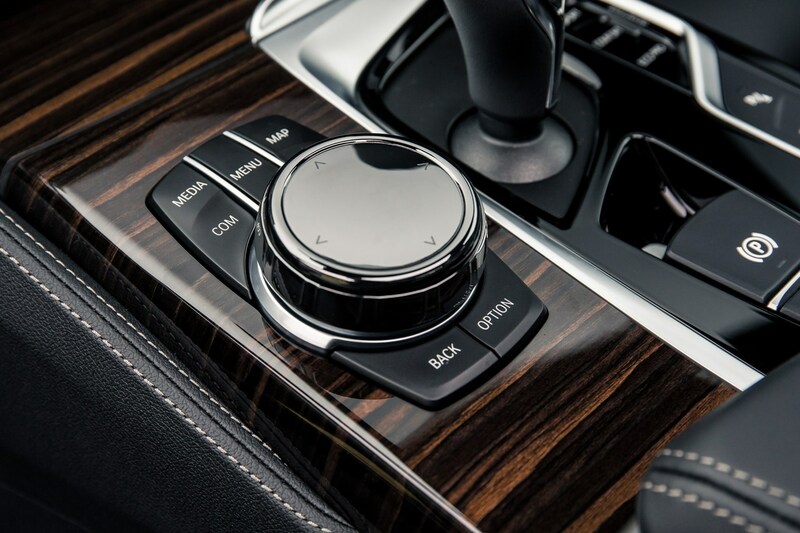 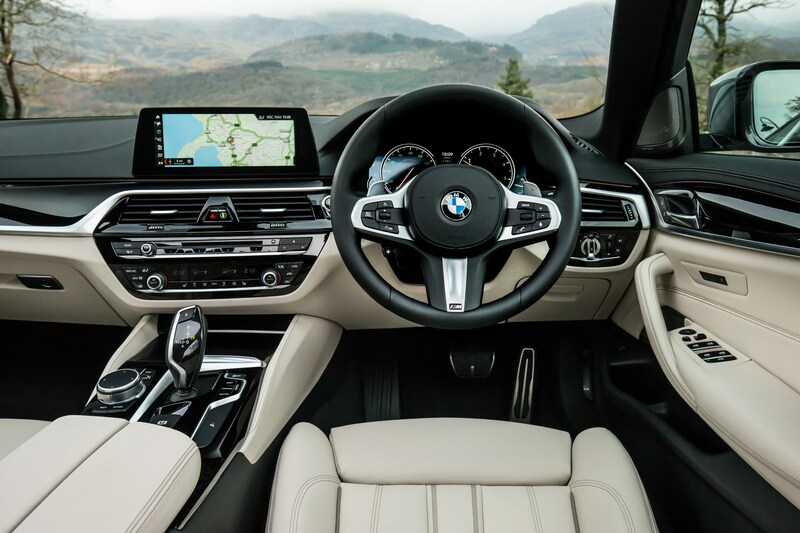 Technology highlights on the 5 Series include the latest iDrive infotainment system with touchscreen and rotary controller (Gesture Control is optional). 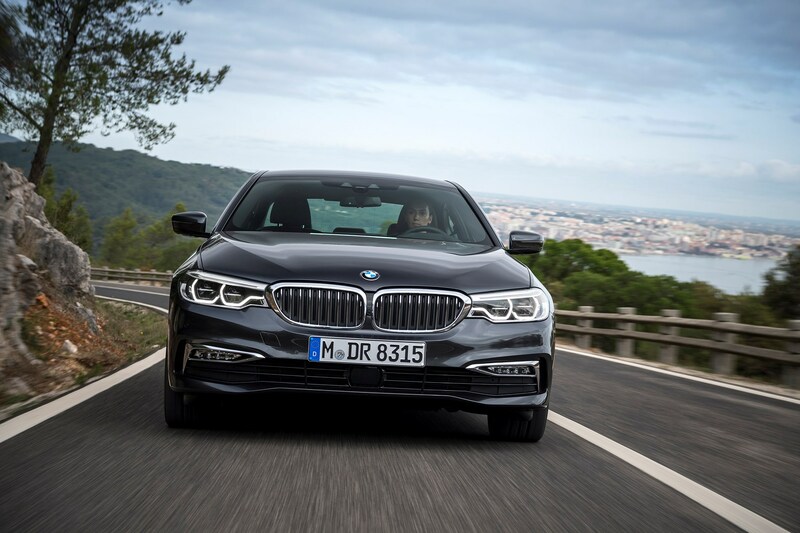 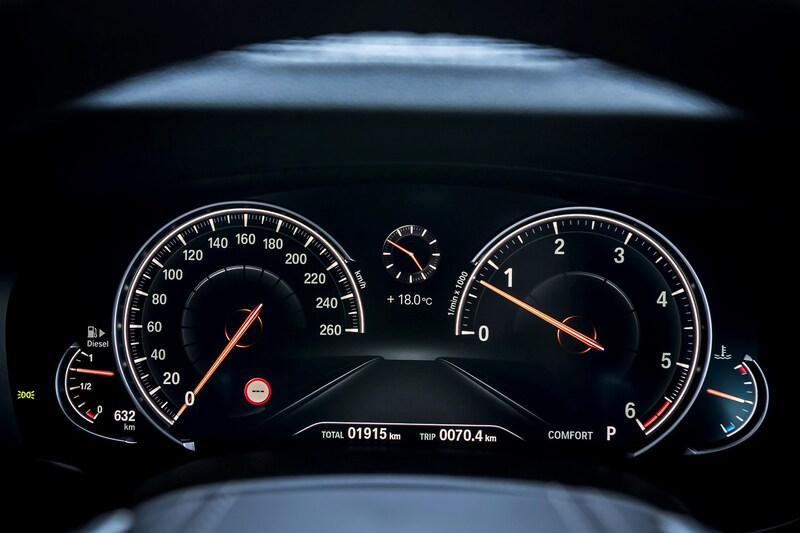 Buyers can also specify an optional head-up display that’s 70% larger than before; and the optional Driving Assistant Plus, a new suite of electronic aids that represent a stepping stone towards self-driving cars – indeed, new 5 Series can safely change lanes on the motorway without the driver touching the steering wheel. 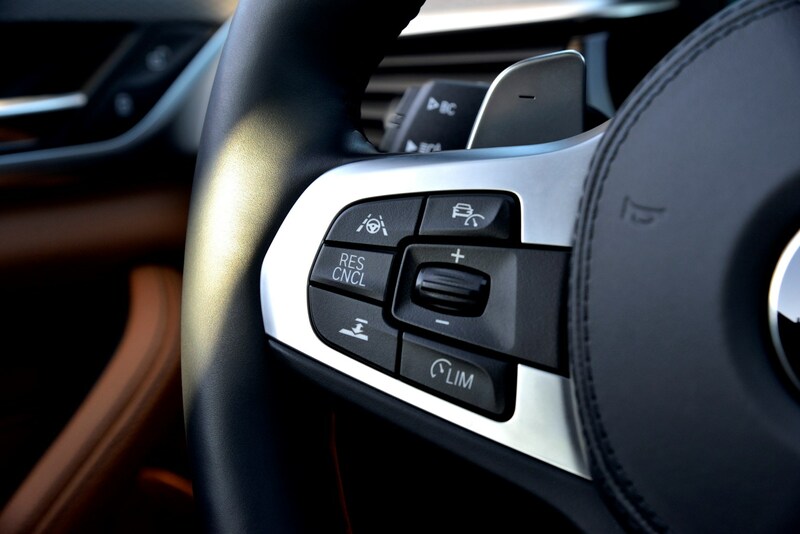 This is just the tip of the iceberg in terms of tech, though, as a huge amount can be added from the extensive options list. 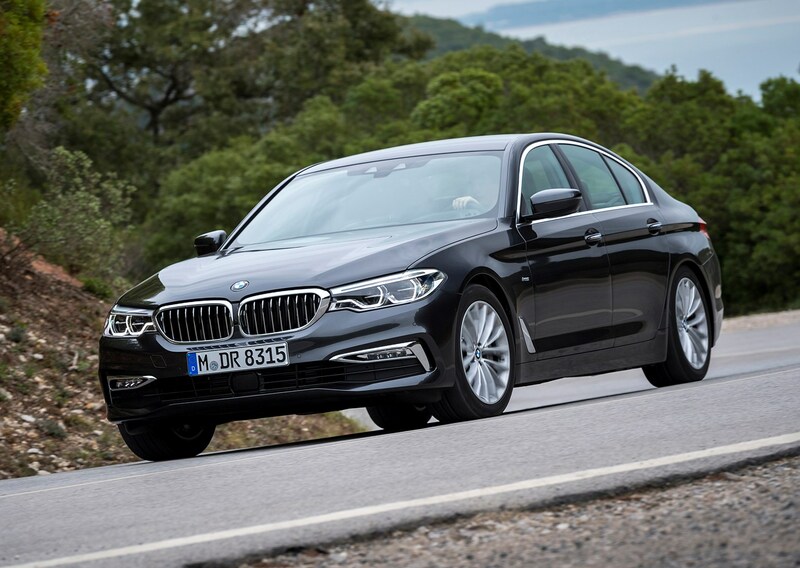 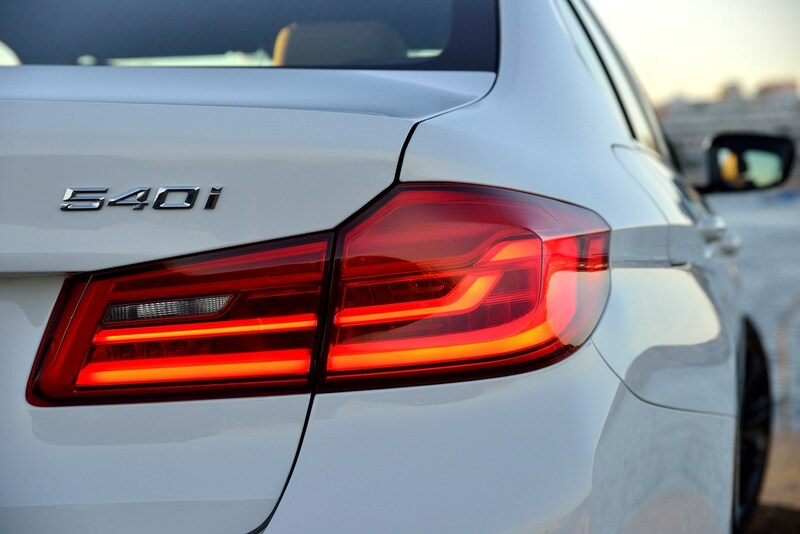 Fuel economy-minded buyers will be particularly interested in the 520d EfficientDynamics when it arrives, as it emits as little as 102g/km CO2 – equivalent to an official fuel consumption figure of 72.4mpg; and the 530e iPeformance plug-in hybrid – this claims 44g/km and 148.7mpg, but at considerable additional cost (to both your wallet and your suspension of disbelief). 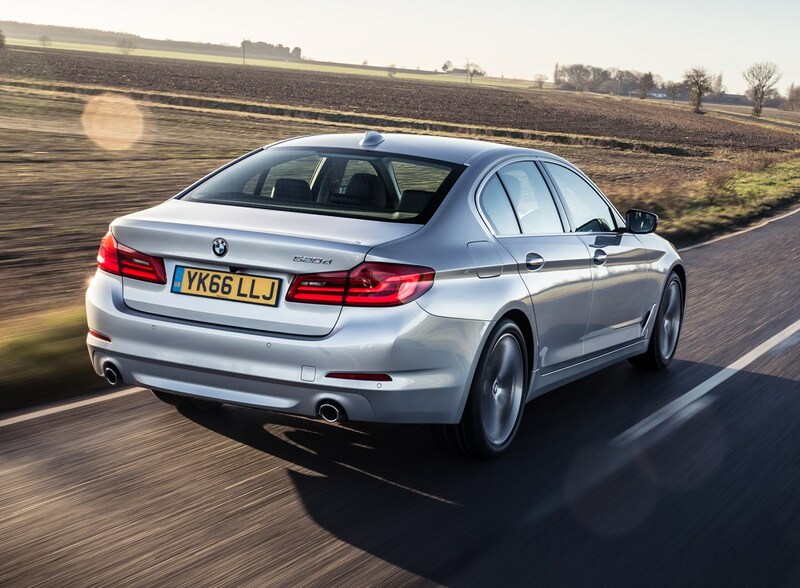 The 540i is likely to be of least interest to UK buyers, owing to its comparative profligacy. 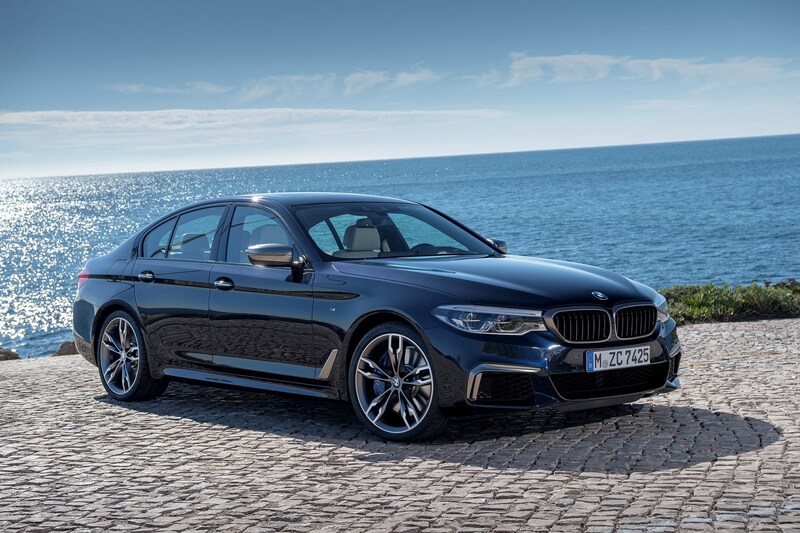 We do not get the M550i xDrive high-performance model offered on the Continent as BMW is not building it in right-hand drive. 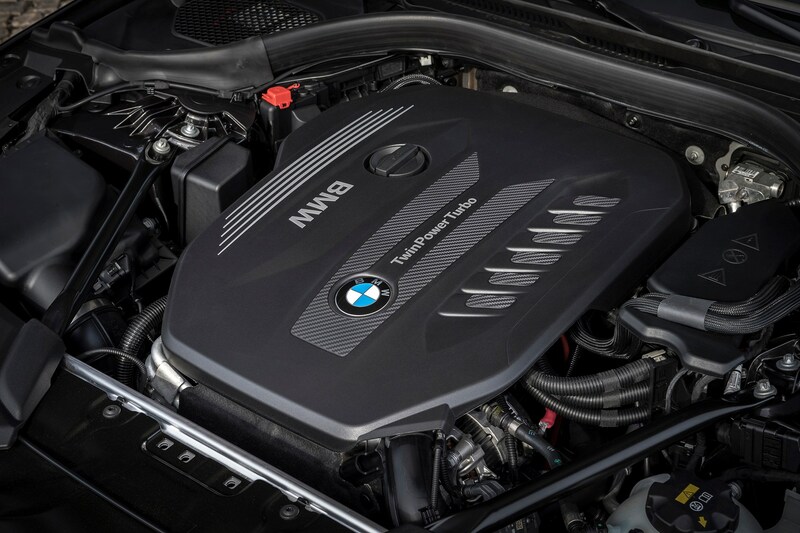 If you want a fully blown 5 with supercar-rivalling pace, there’s the M5 which offers some serious performance credentials including 600hp, 750Nm of torque and 0-62mph in a blistering 3.3 seconds. 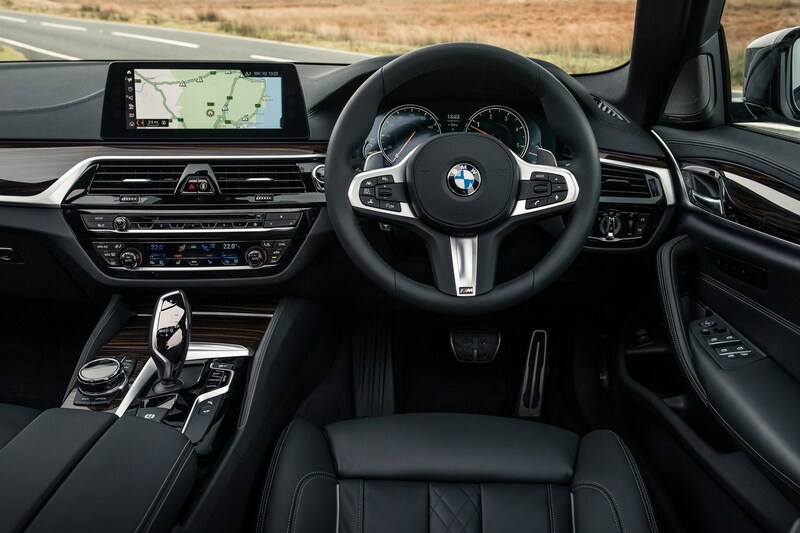 That performance is sent through an eight-speed automatic gearbox to all four wheels, though the front ones can be completely decoupled to make the M5 rear-driven only, for when you feel brave enough. 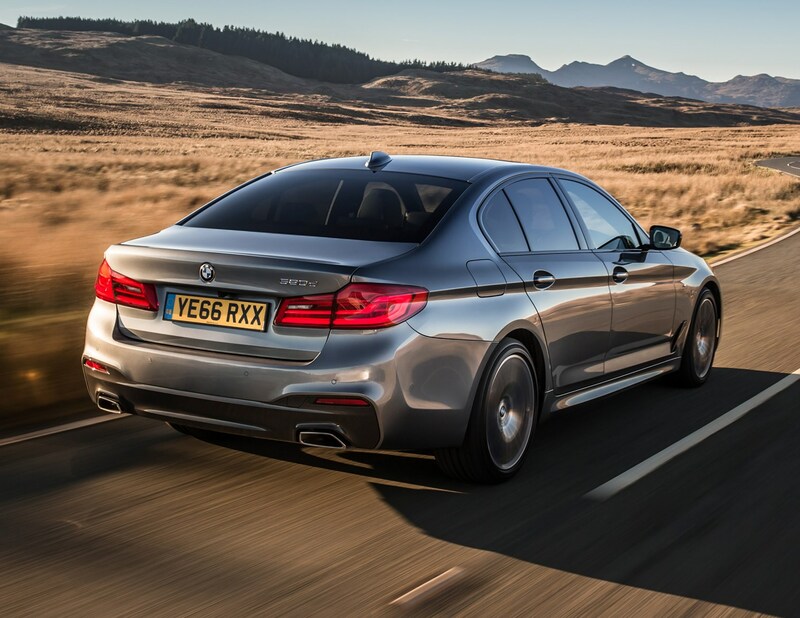 We think the M5 is the best car in its class, beating competition in the form of the Mercedes-AMG E 63 S and Audi RS6 Avant, and even the Porsche Panamera Turbo. 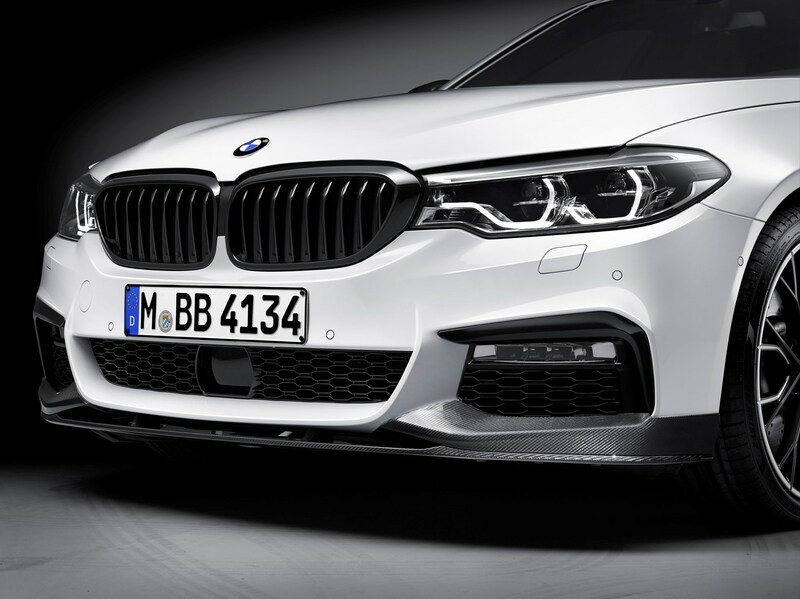 But if that's not enough, there’s the M5 Competition (below), which has a further 25hp along with extra bodystyling and 20-inch alloy wheels. 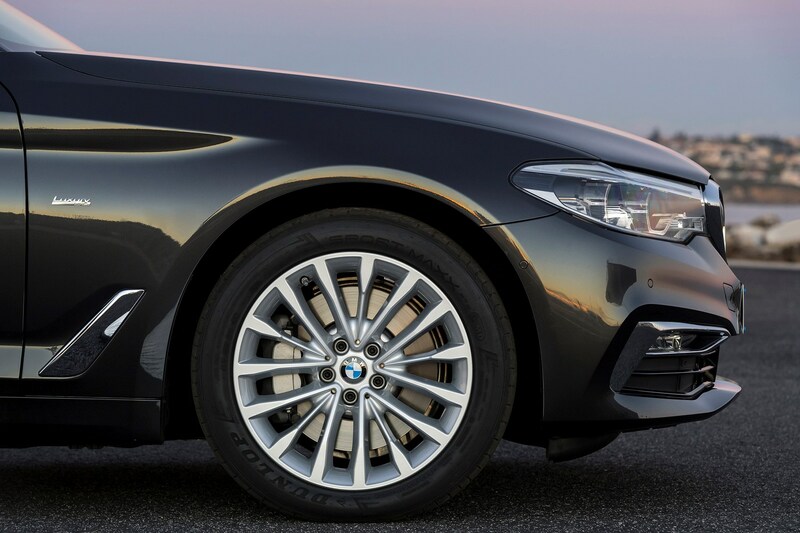 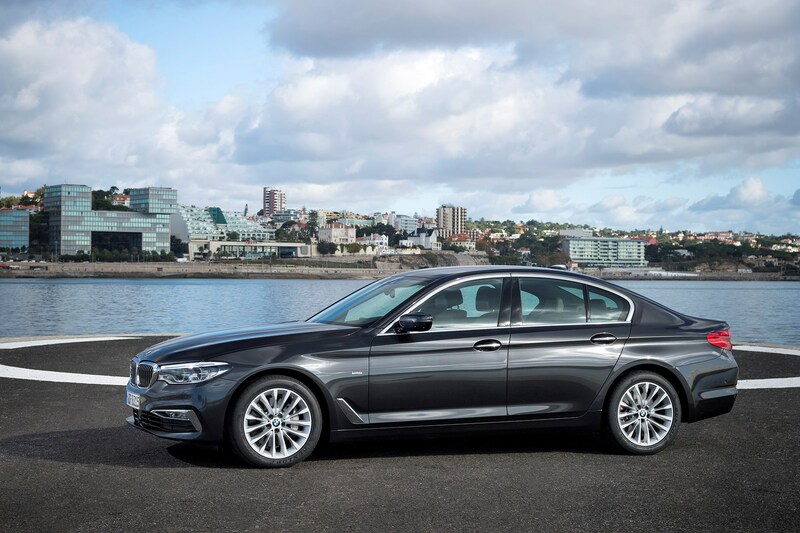 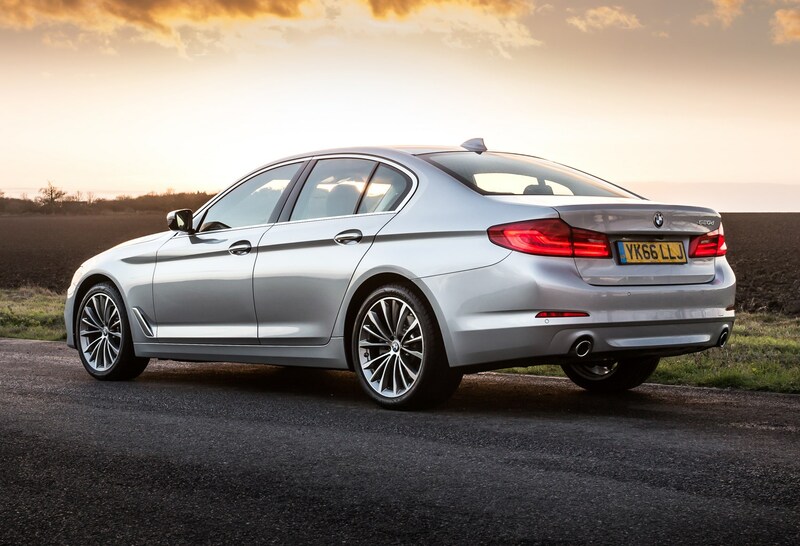 Whichever 5 Series you choose, you’ll be getting a car that is right at the top of its class. 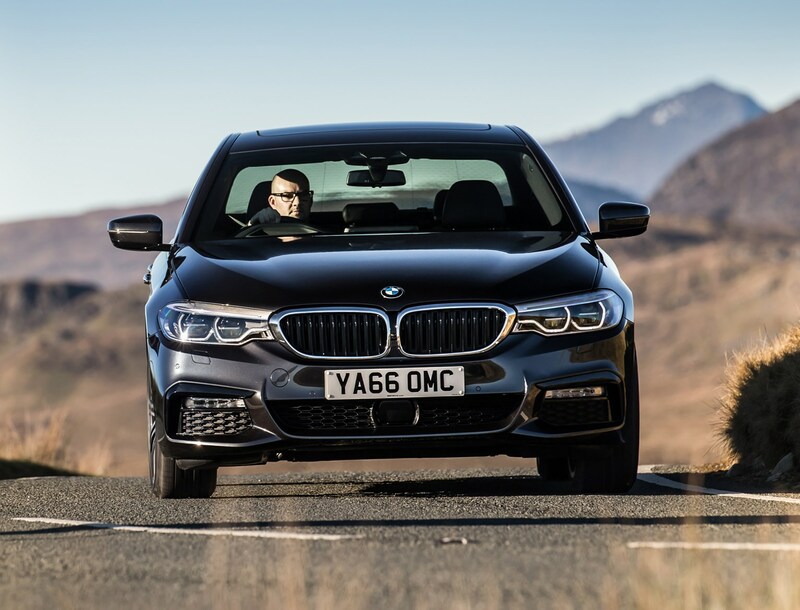 It may not look vastly different on the outside compared with previous models, but BMW’s stuck to its winning formula with the 5 Series, and it’s worked. 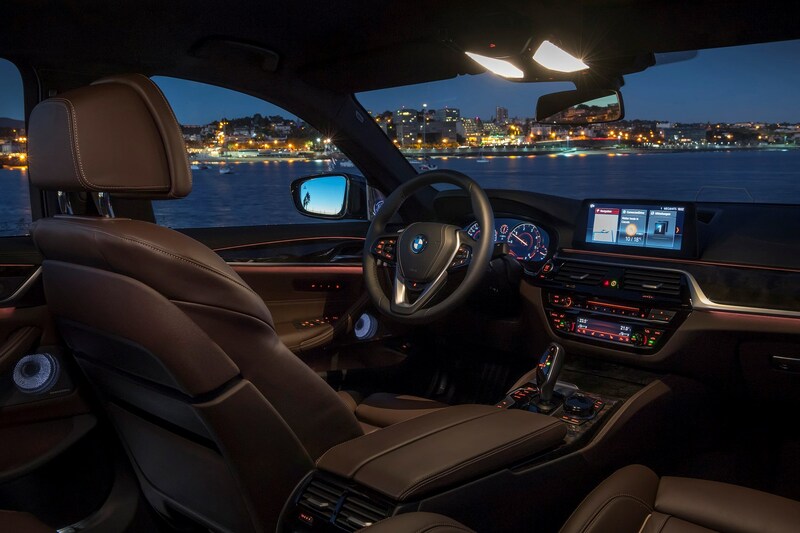 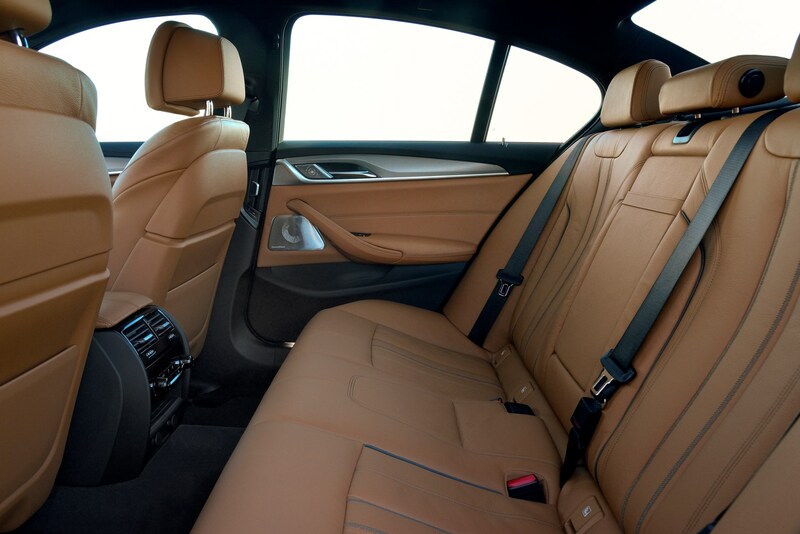 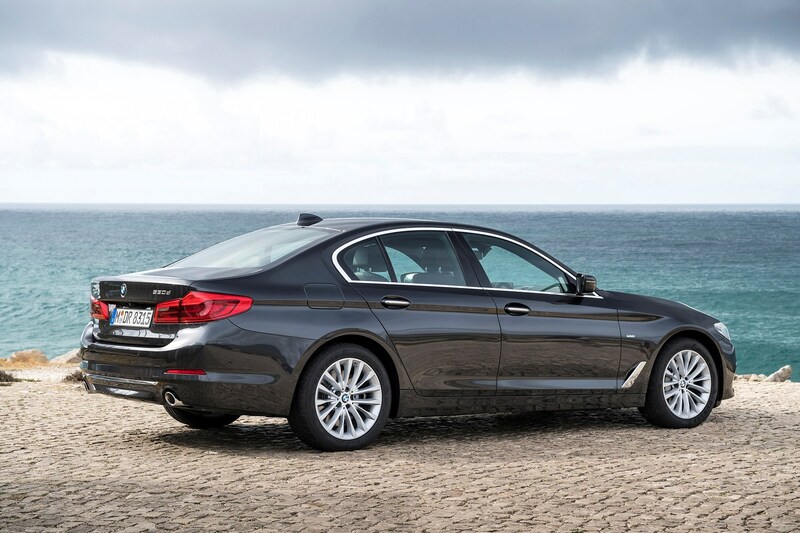 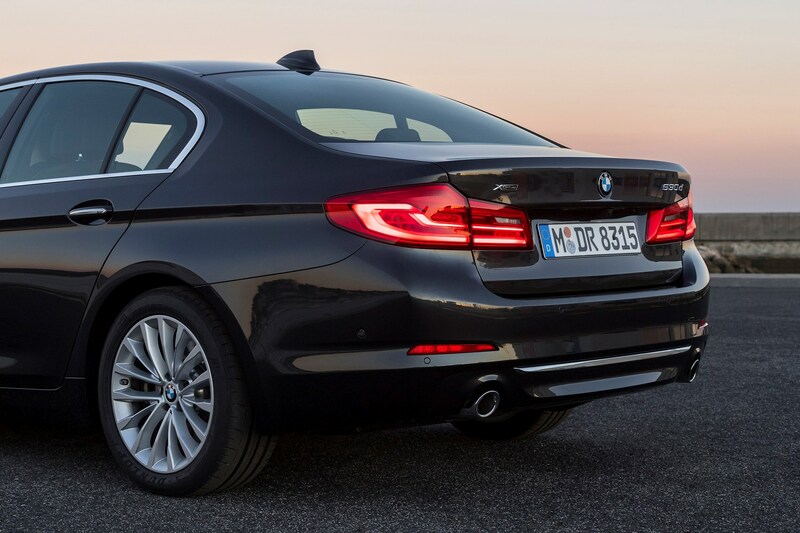 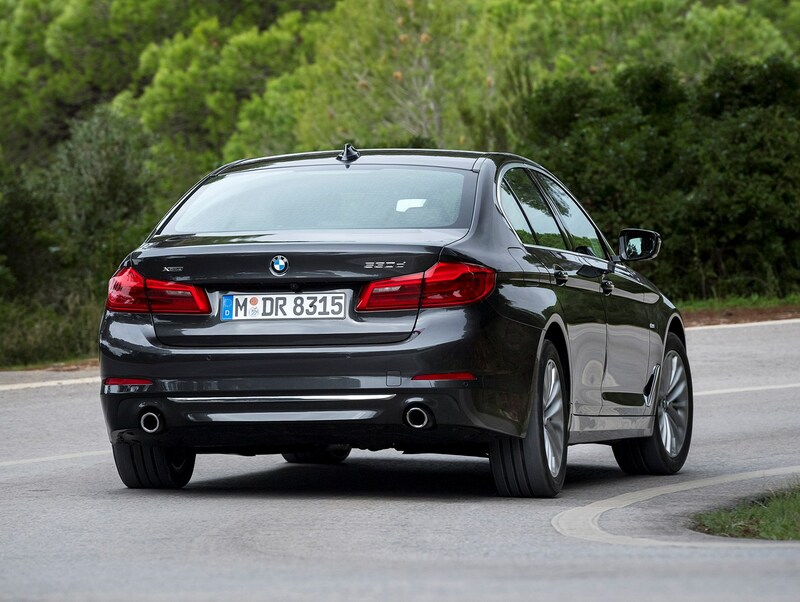 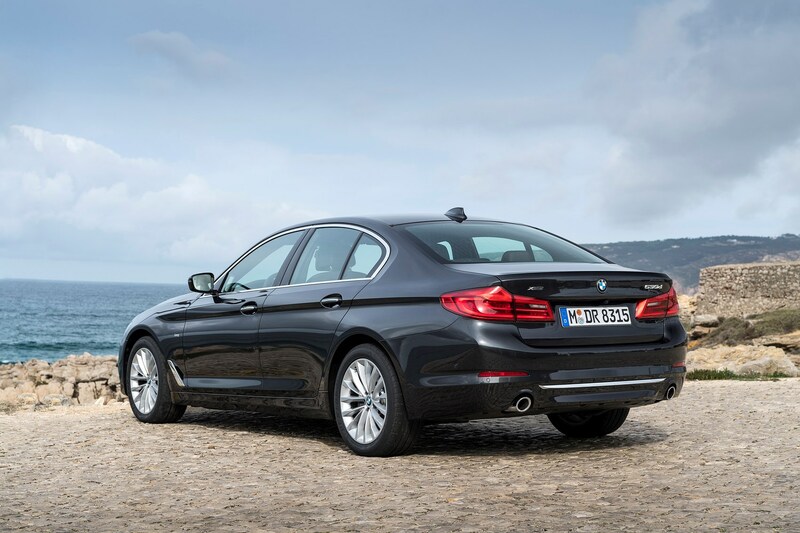 Whichever version of the 5 Series you get, it’s well-appointed, luxurious, spacious and excellent to drive. 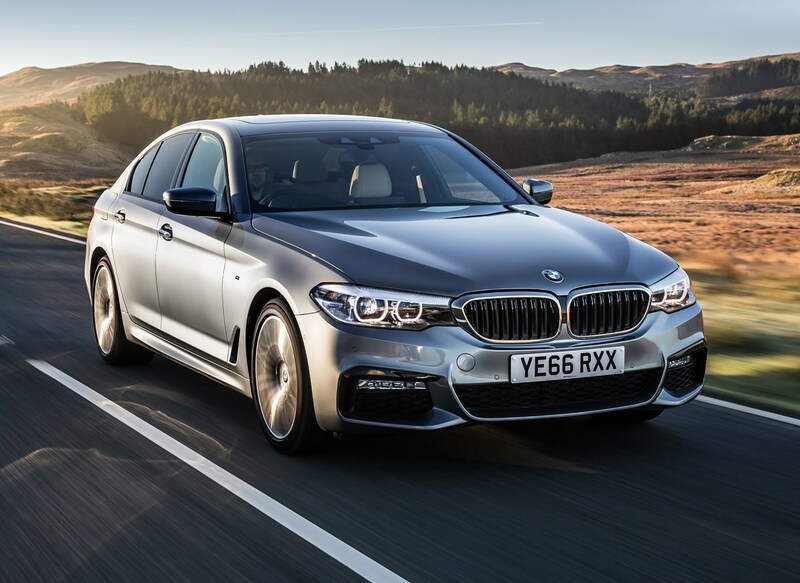 Most models won’t cost the earth to run, and the amount of technology on offers makes it a thoroughly modern executive saloon. 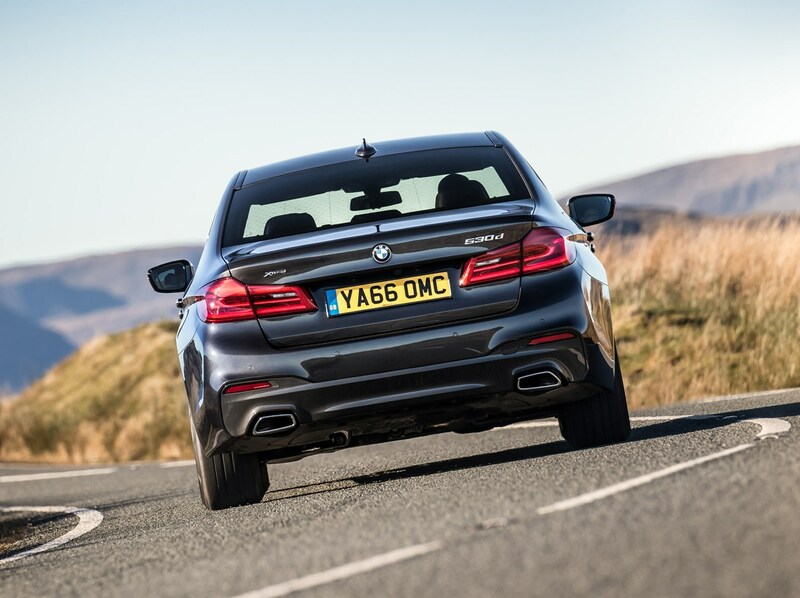 Diving into the options list can prove costly, though, and the petrol models are much thirstier than the equivalent diesels, which are all very strong performers.